Photo by Eduardo Woo. Distributed under the Creative Commons Attribution-ShareAlike 2.0 Generic (CC BY-SA 2.0) license. 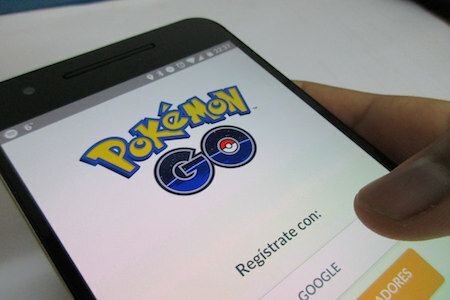 In less than one week, Pokémon Go has become a worldwide cultural phenomenon. Even if you don’t play the game yourself, chances are you have seen the news coverage (see The Most Insane Pokémon Go Stories We’ve Heard So Far) or bumped into someone out hunting for Pokémon. While Nintendo may be the one laughing all the way to the bank, here are some lessons we, in medicine, should learn from Pokémon Go. 1. Virtual Reality (VR) is the way to the future – Remember Google Glass? It was supposed to be the future of medicine, with augmented reality paving the way to safer surgeries, comprehensive electronic medical records, and easy collaboration/sharing of patient information. While privacy concerns seemingly have killed the mass-market appeal of Google Glass, the success of Pokémon Go proves that VR is here to stay, albeit maybe in a different form. For those who have not read “Ready Player One” by Ernest Cline, I highly recommend it, as it presents a fascinating world made possible by VR. 2. Location! Location! Location! – Ok, so this one isn’t exclusive to Pokémon Go or medicine. I was having a conversation with the host at one of my favorite Vietnamese restaurants today. Turns out there were three Poke stops within walking distance of his restaurant. Guess whose business went through the roof in the last week? Now I’m not suggesting you start setting up Poke stops around your clinic or place of employment, but your place of practice should ideally be of geographical proximity to that of your referral base. For example, if you run an outpatient GI clinic, then it would be most convenient if you happen to have your clinic in the same building as your primary care colleague who refers you the most patients. 3. Reward your customers – Patients in our case. When you play Pokémon Go, you are rewarded with your very own mythical monsters that you can train, evolve, and battle.You’ve heard of the slogan “Gotta Catch’em All.” This may sound silly, but how about a punch card for all the preventative care services a patient needs. And as a prize for completing your entire preventative care; you get a discount on your Weight Watchers membership. “Gotta Punch’em All!” How about that for a reward program? 4. Social media is here to stay – Get onboard or risk being left behind. If you’ve used Facebook or Twitter in the past week, posts on Pokémon Go are impossible to avoid. We, in medicine, are notoriously slow to embrace the advances of the information age – just think of that pager you have wanted to throw against the wall more than once. Many healthcare providers are using social media personally but still reluctant to sign onto social media with their professional persona. But that all needs to change. The millennial generation won’t decide on a restaurant without a quick Yelp search. It’s only a matter of time when they start ‘Yelping’ their doctors. 5. Your brand is everything – Build it, maintain it, and defend it. Pokémon Go isn’t the first game to take a crack at augmented reality gaming. Ever heard of Ingress? Me neither. The difference? Pokémon has been a tried and true brand for over 20 years. This one is easy to understand. Would you rather be Joe Schmo, MD or the Mayo Clinic? But Mayo Clinic had to start somewhere. So make sure to polish that reputation of yours. If you do it well enough, even big missteps in the future may not harm your practice that much (See Volkswagen Returned to Profit in First Quarter After Huge Loss Last Year).